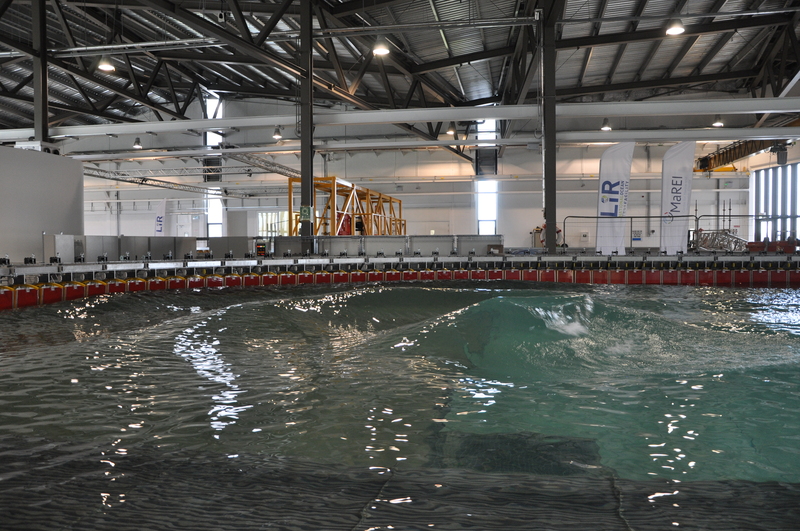 Lir NOTF consists of state of the art wave tanks and electrical rigs that allow for scaled testing in a controlled environment. 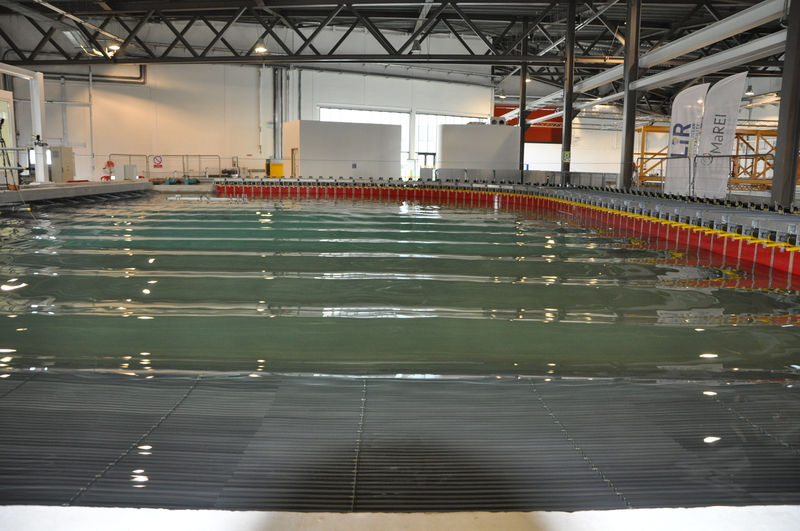 The state of the art facilities comprise a 2,600 m^2 tank hall which houses 4 different wave tanks. 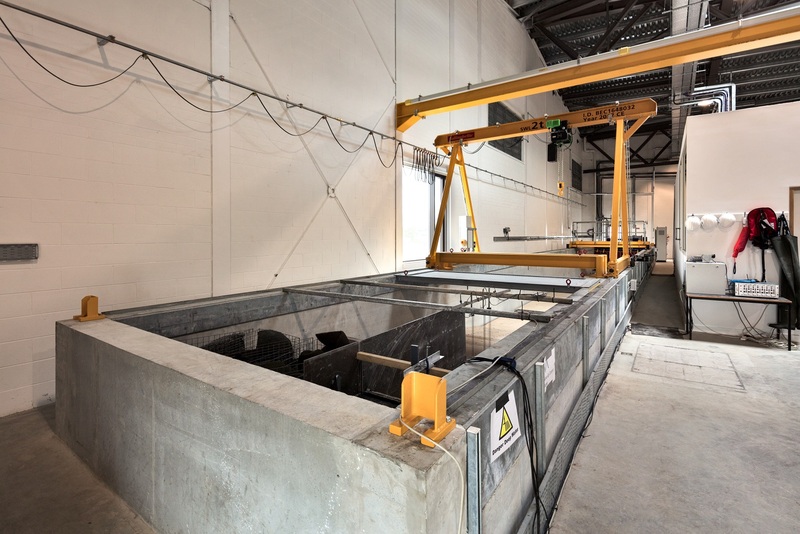 These include a new deep ocean wave basin (circa 1:15 scale testing) and capable of producing waves of up to 1.2 metres high, an ocean wave basin (circa 1:50 scale testing), a wave and current flume with coastal/tidal testing capabilities (circa 1:50 scale testing) and a wave demonstration flume. Equipped with 16 hinged force feedback paddles capable of a peak wave generation condition of Hs = 0.6 m, Tp = 2.7 s and Hmax = 1.1 m, making it suitable for circa. 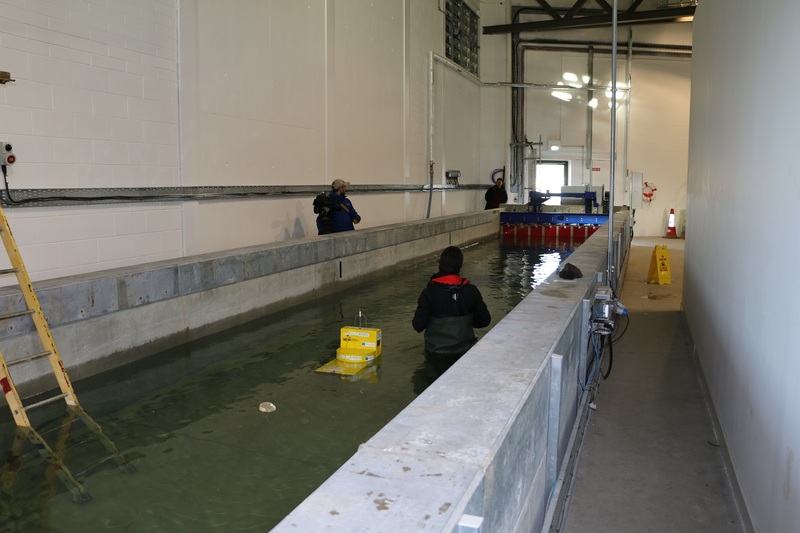 1/15 scale operational conditions and 1/50 scale survival waves. 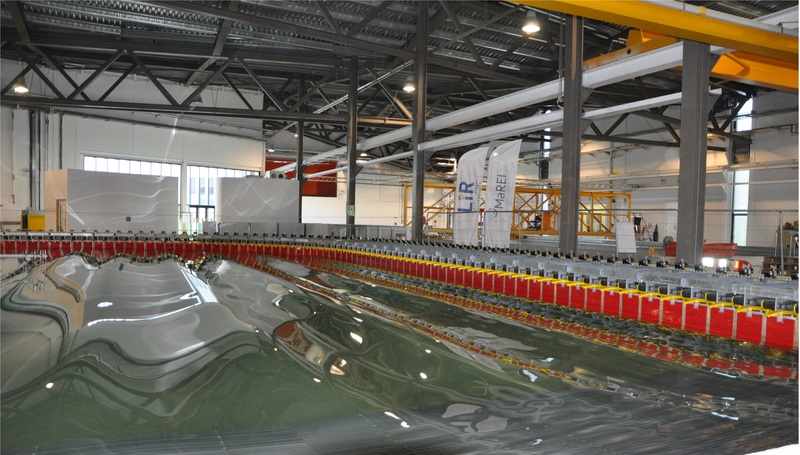 It has a 12m x 12m movable floor plate to allow the water depth be adjusted between 0 and 3m depth with an inclination between 0 and 6 degrees. 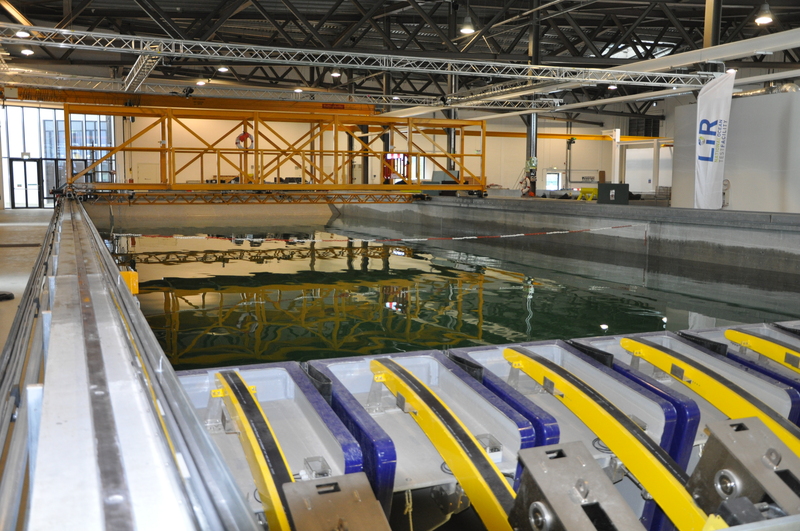 The basin is fitted with a towing carriage that can operate at speeds up to 0.72 m/s. Equipped with 80 hinged force feedback paddles capable of a peak wave generation condition of Hs = 0.16 m, Tp = 1.4 s and Hmax = 0.32 m, making it suitable for circa. 1/50 scale operational conditions. 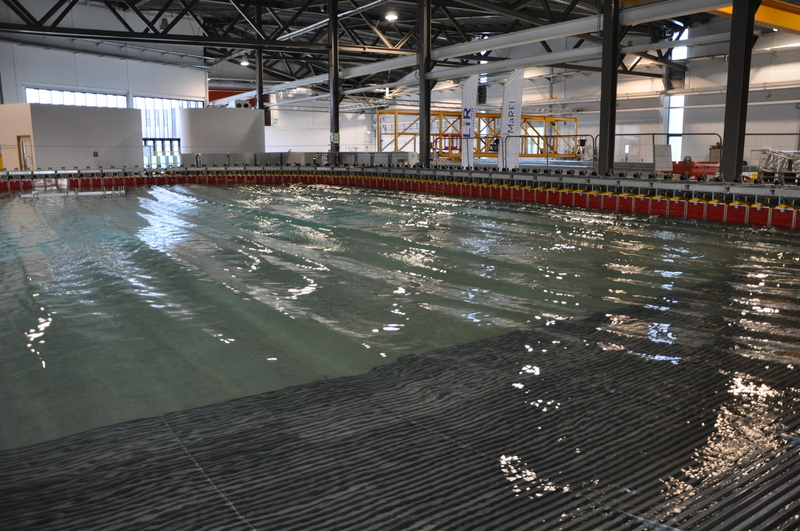 The paddles are placed on two sides of the basin with making wave direction adjustable by more than 100 degrees. 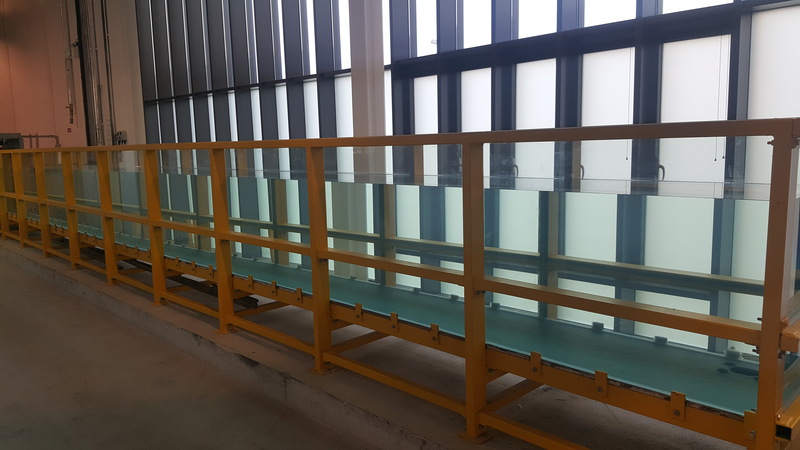 It has a general depth of 1m with a 11.2m x 10m deep section equipped with a movable floor plate to allow the water depth be adjusted between 1 and 2.5m depth. 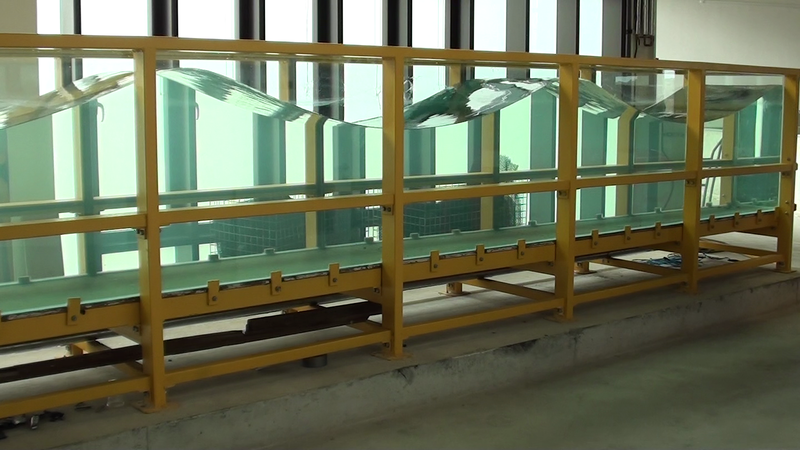 Used for testing a variety of marine structures (wave energy convertors, floating wind platforms, coastal structures, oil & gas platforms). Active or passive wave absorption is present all around the basin allowing improved wave condition and shorter settling time. 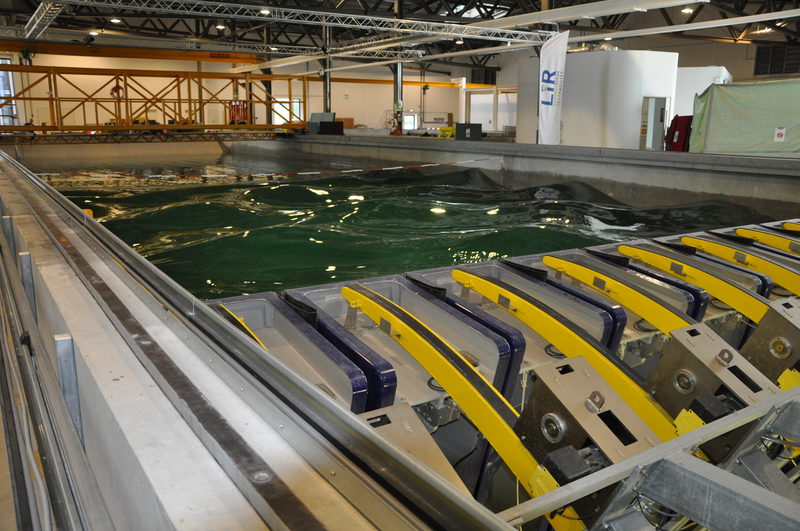 A multi-purpose facility with the capability of running separate and combined unidirectional wave and current tests. It has 8 hinged force feedback paddles with adjustable height positioning allowing water depth to be adjusted between 0.6 and 1.2m. 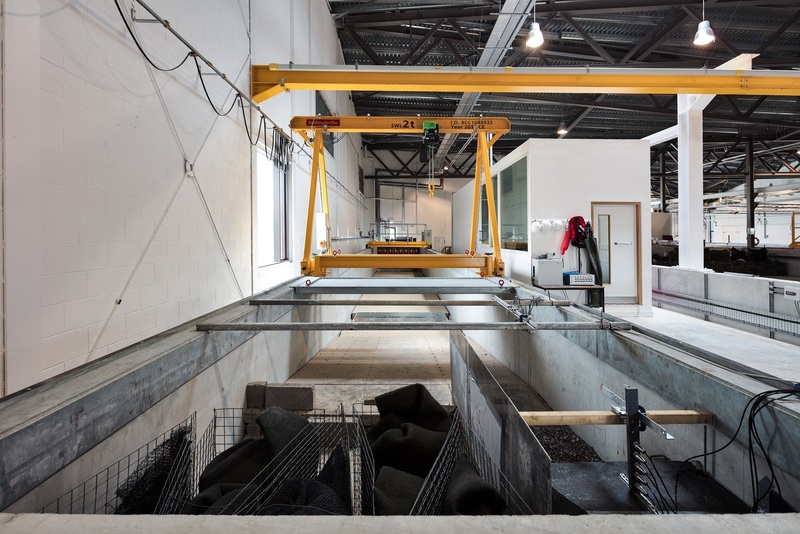 The wave generation peaks at Hs = 0.16 m, Tp = 1.5 s and Hmax = 0.35 m. Current greater than 1 m/s is generated in a circulation gallery using three thrusters. It is fitted with a towing carriage that can operate at speeds up to 1.5 m/s. 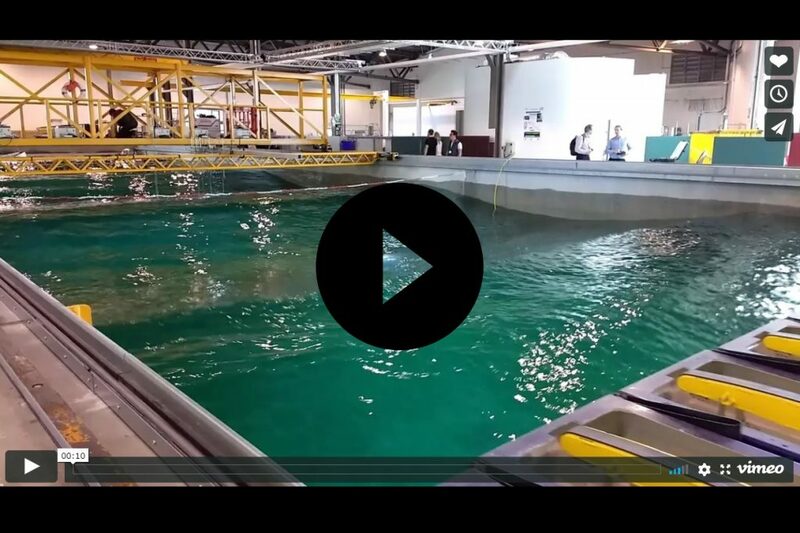 An additional 1m depth can be achieved with wave generation only. 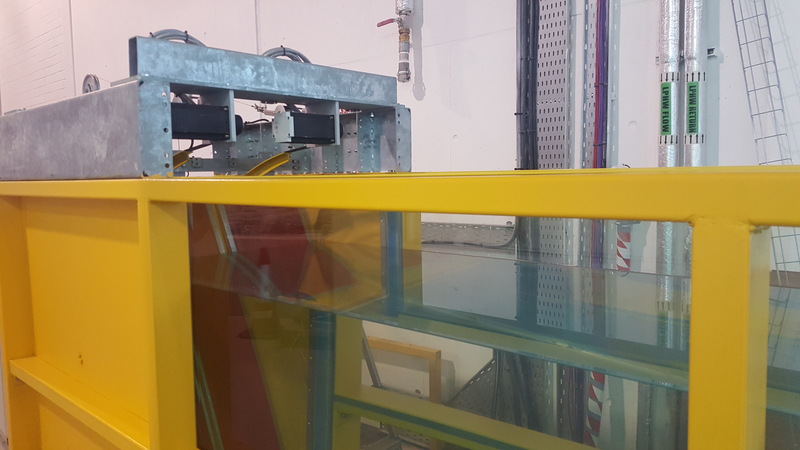 A glass sided flume equipped with 2 hinged force feedback paddles capable of a peak wave generation condition of Hs = 0.16 m, Tp = 1.4 s and Hmax = 0.32 m, making it suitable for circa. 1/50 scale, unidirectional wave conditions. 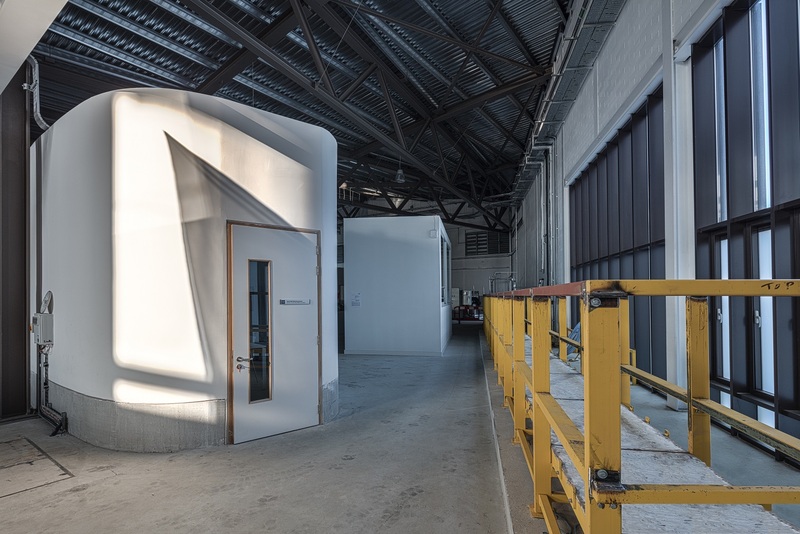 It is fitted at the other end with a variable depth floor to provide easy adjustment of the bathymetry for stability testing of coastal structures. 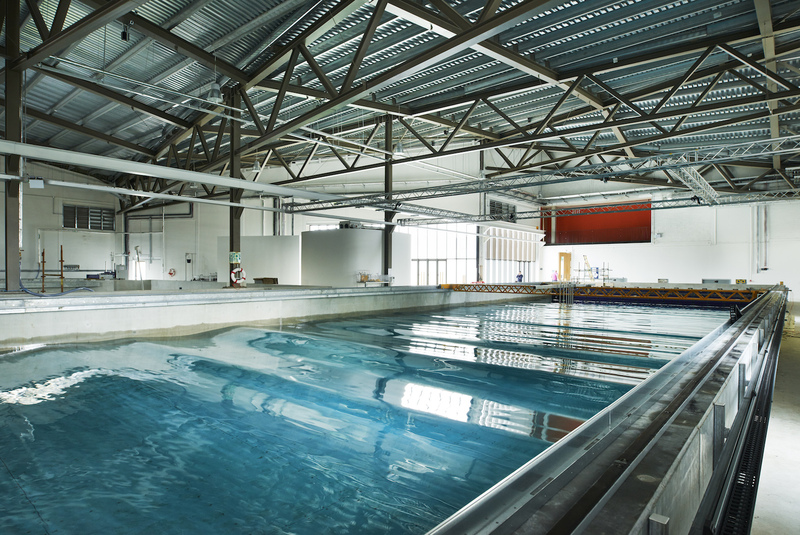 Also used to provide students with an introduction to tank testing, wave observation as well as initial device concept development.